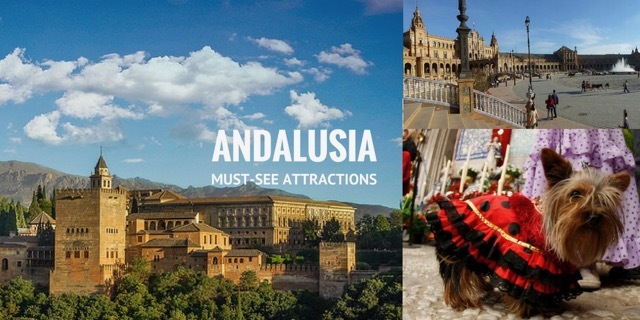 If you only see one monument in Andalusia, it has to be Granada’s UNESCO-listed complex of palaces built around dazzling courtyards of flowering trees, pools and fountains. Did you know it is hailed as the most exciting, sensual and romantic of all European monuments? Set on a wooded hill above the city of Granada, in Andalusia in Southern Spain, the Alhambra Palace was built in the 14th century by the then sultans of Granada, and it reveals the brilliance and spirit of the Moorish culture in Andalusia at a time when the rest of Europe was only just beginning to emerge from the Dark Ages. 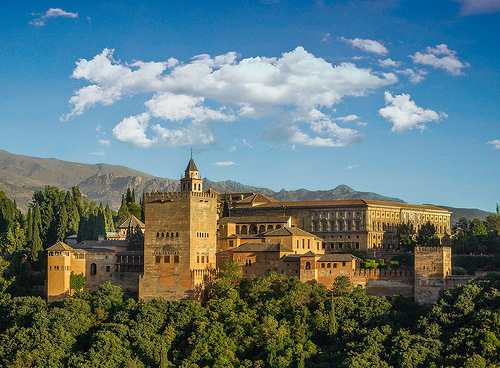 This is a very busy attraction so please read our detailed guide to Visiting the Alhambra – Tickets, Tours & Insider Tips before you travel to Granada. Of course, there’s plenty more to see and do in the city! We recommend exploring the Albaicin neighbourhood – which is the largest still-inhabited Moorish quarter in Spain and the original site of an ancient Roman settlement. It is the location for many stunning ‘carmens’ or villas and you are also rewarded with some pretty special views of the Alhambra too. For families with older children we highly recommend doing a segway tour of the steep Albaicin and Sacromonte – it’s great fun for all ages and superb views can be enjoyed from the Sacromonte Caves. You should also visit the Barrio del Realejo (the old Jewish neighbourhood) and keep your eyes peeled for the wonderful street murals by El Niño de Granada. Check out the city’s cathedral where King Ferdinand and Queen Isabella, the Catholic monarchs who reconquered Spain from the Moors in 1492 are laid to rest. And don’t leave Granada without tasting some of the complimentary tapas in the city’s great bars and restaurants. Want somewhere special to dine? We are big fans of the Parador’s restaurant which overlooks the Generalife but we also recommend Restaurante Mirador de Morayma in the Albaicin which is a 5 min walk from the charming gardens of the Casa del Chapiz. The restaurant offers terrific views of the Alhambra in a cosy, charming setting. Seville is the most romantic of all Spain’s cities – where else will you wake up to the scent of orange blossom and find horse-drawn carriages in the park? The city was named Lonely Planet’s Top City for 2018 so you can expect it to be busier than ever. First must-see in Seville for us is the city’s 9th century Alcazar (meaning castle). 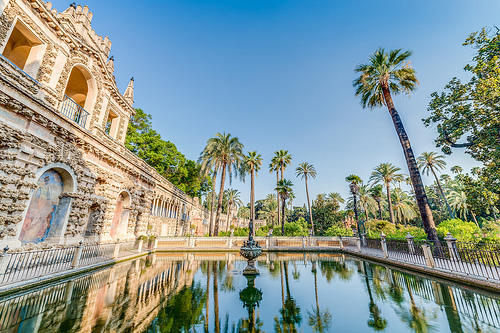 It’s Spain’s oldest active royal palace and gardens – a real must-see in Seville. The interior is highly ornate but the most memorable part are the gardens which are wonderfully quiet first thing in the morning. 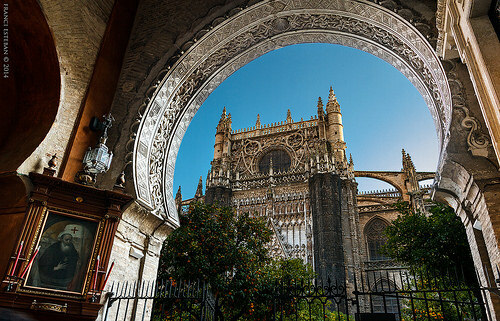 Seville’s enormous cathedral dates from 1506 and is the final place of rest for explorer Christopher Columbus. The cathedral actually houses an old minaret from the Arab mosque that had previously occupied this site. It is best described as eclectic with styles ranging from Mudejar, Gothic, Renaissance, Baroque and Neo-classical styles. After exploring it in depth, visit the adjoining Giralda Tower which offers outstanding views over the city and the Patio de Los Naranjos (Courtyard of the Orange Trees) right beside the cathedral. Seville’s best loved park – the Maria Luisa – is the location for the beautiful Plaza de Espana. The combination of blue and white tiled bridges and elegant water fountains set against the bluest of skies makes this one of the prettiest places in Spain. NB Bring a spare battery pack for your camera! If you start early, it is possible to see Seville’s three must-sees in one day but don’t underestimate how busy the attractions will be. Visitor numbers have increased significantly since the HBO series Game of Thrones was filmed here so plan everything before you travel. In addition to the three must-sees, you should also check out the old Jewish quarter known as Barrio Santa Cruz, the glistening Torre de Oro and the Royal Tobacco Factory – the workplace for Bizet’s Carmen. At night it’s well worth checking out the Metropol Parasol Sevilla ‘Setas de Sevilla’ an amazing wooden structure located at La Encarnacion plaza which has a buzzing atmosphere. The Cathedral of Cordoba (also known as the Mosque or Mezquita) is without doubt one of the most famous constructions in all of Spain. A Catholic church stood first on this site and that building was divided into Muslim and Christian sections until the structure was levelled in the second half of the 8th century by Abd ar-Rahman. The current mosque was build and over the centuries, many additions and extensions were made. Following the Christian conquest by Kind Ferdinand III of Castile it was consecrated as a Cathedral in 1236. Significant re-designs took place including the building of a church with the church and the 40 or so side chapels. But it is still the 856 columns with the red and white arches, the golden mihrab and the enormous prayer hall that make this such an unusual and outstanding place to visit. 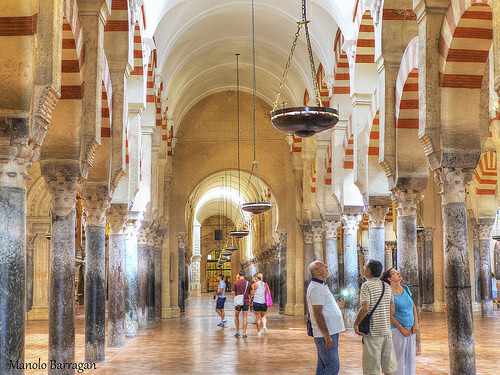 Outside the cathedral walls you can experience more of what was once the great Moorish capital of Al Andalus plus one remaining synagogue dating from 1315 in the old Jewish quarter. Soak up the city’s unique atmosphere as you sample some of Cordoba’s delicious local dishes such as salmorejo (a chilled tomato soup), fried aubergine and slow-cooked oxtail stews. (And if you like horses, then we highly recommend an evening show at the Caballerizas Reales – see below for more details). The city’s patios (courtyard gardens) are especially beautiful in the month of May when the annual courtyard festival is held and really merit a visit to the city. If you don’t have much time in Cordoba, visit the Palacio de Viana which boasts a dozen or more courtyards on its grounds. The renowned Tio Pepe/Gonzalez Byass Winery in the city of Jerez is one of the largest and best known of the many Jerez sherry producers. Take a bodega tour here to learn about this fortified wine in all its forms. 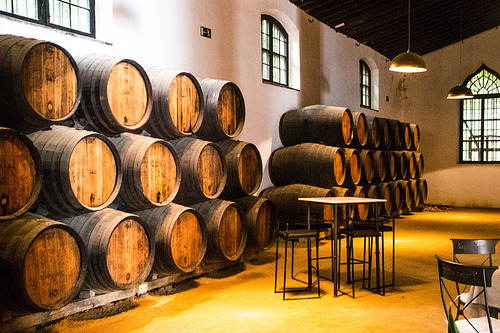 We also recommend visiting a smaller niche bodega and often suggest Bodegas Tradicion that produces aged-sherries and its tour includes a viewing of its small but celebrated exhibition of Spanish art. Housed in one of the oldest family-owned winery buildings in Jerez and restored in 1998 by the descendants of the original family, it adheres to the ancient tradition of ageing and maturing sherry by hand. For more read our city guide to Jerez. BTW If you prefer to visit sherry wineries along the coast, look up the many bodegas located in Puerto de Santa Maria and Sanlucar de Barrameda. Whether you like horses or not, you can’t fail to be impressed by the performances provided at the Royal Stables in both Jerez and Cordoba. The horses perform astonishing feats of delicate footwork, high stepping, hopping, skipping, jumping, and leaping in the air like ballet dancers. 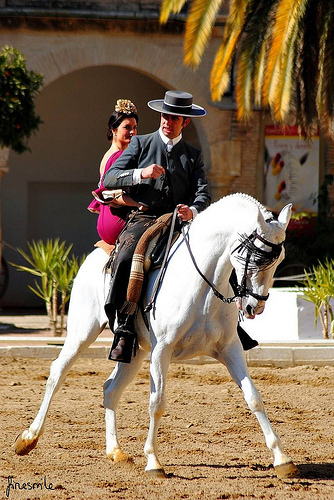 The work of the riders is equally impressive and some performances also feature a flamenco dancer. It may seem frivolous but many of the drills and steps performed by the horses relate to working in the fields and preparing for battle. When the show is over, you can go behind the scenes and watch the horses being schooled. Malaga’s 100% authentic Atarazanas foodmarket isn’t a museum but it certainly is a pleasure for the senses. It’s the best place to pick up a huge variety of foods including exotic fruits, breads from Morocco, a dazzling array of fish and shellfish, and multiple varieties of olives. We don’t have to remind you of the beautiful stained glass at the market– you can’t miss it! 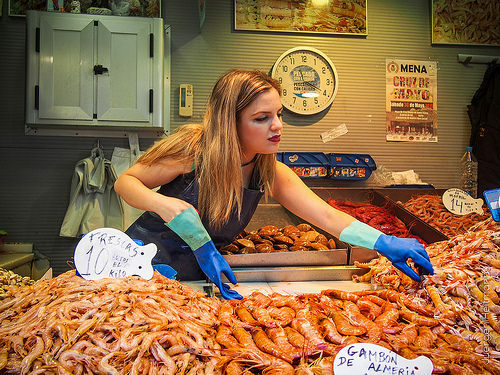 Of course, you’ll find dozens of excellent food markets in the other major cities including Seville and throughout Andalusia. Wherever you are, we can book a private gastronomy expect to do a market tour which can be followed with a tapas tour or a cooking class – allowing you to put your newly purchased ingredients to the test. You can go behind the scenes of our suggested Seville city food tour to see what happens, if you’ve never done a food tour before. You might wish to visit some of the countryside to see where the food is grown. We enjoy driving out to the hills surrounding Jaen & Ubeda to see the amazing views of the olive oil groves and visit an olive oil cooperative. Check out our agri-tourism tour ideas around Andalusia and the rest of Spain. Jerez is considered the cradle of flamenco and is a great place to attend a flamenco stage show. If you prefer to wing it and try catch a more informal performance in the bars around the city, we recommend Tabanco El Pasaje. Seville is also a great place to catch a live flamenco show and it’s the location for the Bienal de Flamenco which began in 1980 and is celebrated every two years across different theatres of the city. BTW If you visit Seville during the Feria de Abril meaning April Festival, you’ll see an amazing array of flamenco-style dresses and you’ll get to see ‘sevillanas’ being danced. If you are travelling to Andalusia at Easter, be aware that the most popular Semana Santa processions of Spain are the ‘pasos’ in Seville. You’ll need a lot of planning or insider help to get a good view of the proceedings but with 50 or so taking place every day, it’s impossible not to catch some of the action! 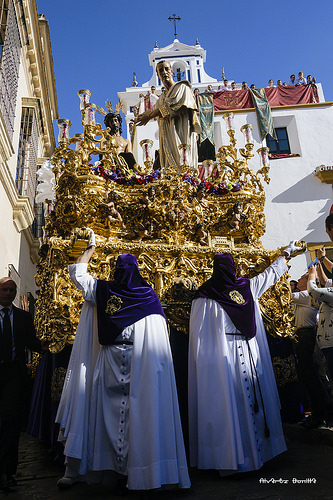 The Malaguenos also put on a very vibrant Holy Week. While not as famous as those of Seville, Malaga’s processions are very popular, very lively and quite different to elsewhere in Andalusia. The actor Antonio Banderas is always back home in Malaga for Semana Santa so if you think you see a lookalike leading a procession, it might actually be him. In between the ‘pasos’ you should try visit the changing of the Spanish Foreign Legion guard at the Santo Domingo church. 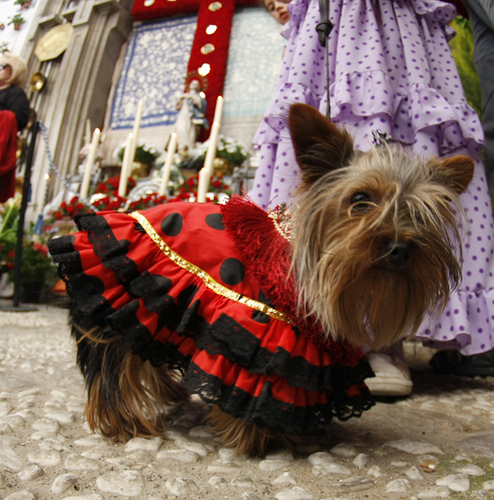 Read our guide to Easter Week in Spain for more background and tips. Ronda is an easy drive from Malaga, Seville or Granada. 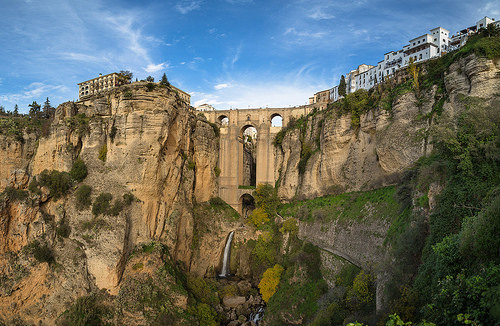 Our clients love the bridge over the gorge, the Parador, bullring and its connection with Hemingway’s For Whom the Bell Tolls. Want something a bit wilder? Doñana National Park consists of 542 square kms of marshlands, lagoons, woodlands and sand dunes. It is said that half of Europe’s bird species can be spotted here at one time or another. Read our post on national parks of Spain. Learning about your Jewish heritage? Then places like Cordoba, Seville, Lucena, Granada and more will be of interest. Read up on the significant Jewish sights in Spain (many are in Andalusia) and just across the border in Portugal. If you’re looking for coastline, there’s so much to choose from – to avoid crowds explore the Huelva coastline and also the Costa de la Luz, as well as the Cabo de Gata area in Almeria. There’s a beach for every taste. Need an adrenalin rush – it’s got to be the Caminito del Rey bridge that requires nerves of steel to cross. Read about it and other cool bridges here. For anybody keen on archaeology, we’d recommend the Medina Azahara – an Arab Muslim medieval town and the de facto capital of al-Andalus, or Muslim Spain, just outside Cordoba. If you want to get another stamp or two on your passport – check out our day trips to Gibraltar and Tangiers but be aware, you’ll need to dedicate a full day to visit as delays are common on the Gibraltar border. 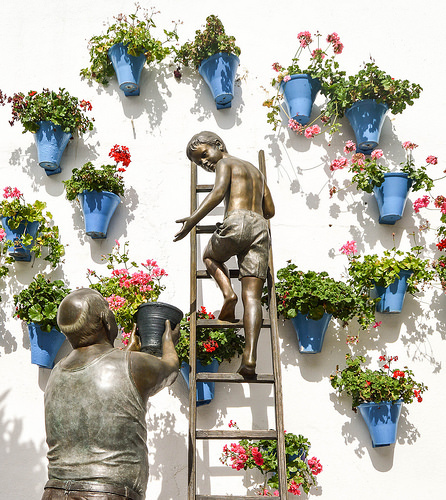 You’ll find a few more ideas in our post on Unusual Andalusia. The best time to see Andalusia is in late Spring when the gardens are looking wonderful and the temperatures aren’t too hot. Before you book your flight, check the temperatures and prepare and pack accordingly. Although July and August are the hottest months in Andalusia, you’ll find they are actually low season in cities such as Seville and Jerez because the Spanish holidaymakers shun the cities for the coastline. Our clients who visit Andalusia often fly into Madrid and we book them on the high-speed train to Andalusia. We transfer them via a private driver from the airport to the station. Private drivers can really make a good trips great and we write about the benefits of hiring a private driver for airport transfers and day trips here. You can of course fly from a great number of destinations into Seville and self-drive these must-sees if you wish. Check out our guide to driving in Spain as many of the old quarters in Seville and Granada are only accessible to residents. When it comes to hotels, we have wonderful partners we work with in Seville, Granada, Cordoba, Jerez and Malaga plus places such as Marbella and Ronda. 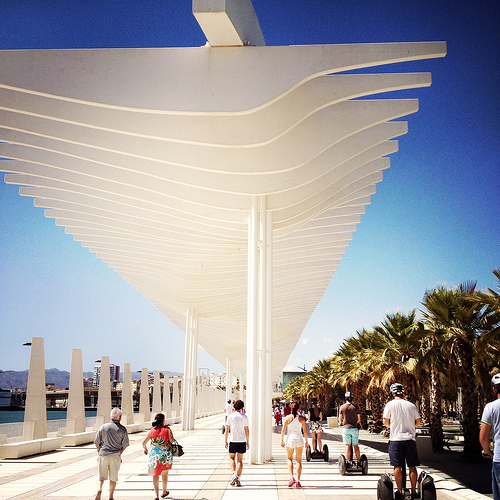 To learn more about how we work, check out 15 reasons to book a trip with Totally Spain. Posted in Andalucia, Cordoba, Granada, Malaga, Popular Posts, Ronda, Seville, Useful Information and tagged Alcazar, Alhambra, Carmen Thyssen, cathedral, dancing horses, Easter, Feria de Abril, flamenco, gardens, gastronomy, Granada, Jerez, Malaga, Mezquita, Museums & Galleries, Picasso, Plaza de Espana, Pompidou Malaga, Ronda, Russian Art Museum, Semana Santa, sevillanas, Seville, sherry.